In my review of Pearl River Bridge Light Soy, I gave a quick overview of soy sauce production in general but the focus was essentially on Chinese varieties. Kikkoman is a Japanese brand and, amongst the many varieties of soy based sauces used in that cuisine, there are two broad categories. 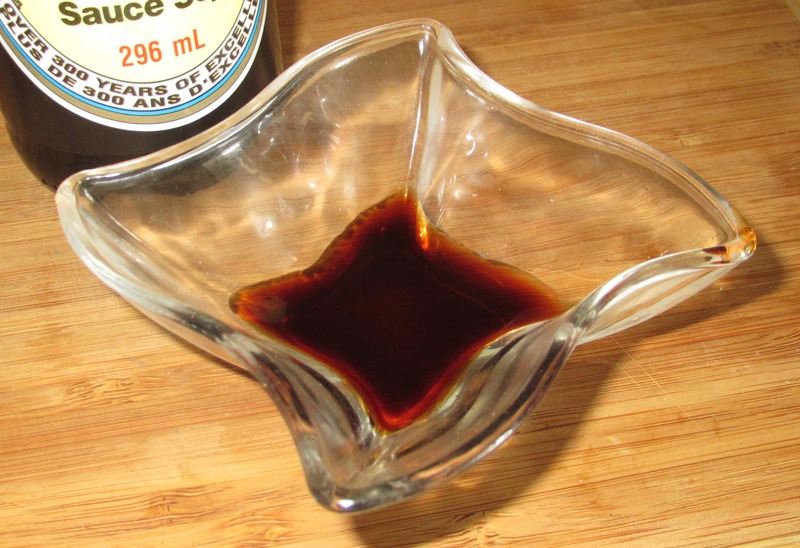 First, there is Tamari, which can be regarded as the ‘original’ Japanese soy sauce. It is essentially the liquid run-off from the manufacture of miso and, being quite dark and rich, is very close to the majority of Chinese versions. The other type, known as ‘shoyu’ is generally lighter than tamari and contains a fairly high proportion of wheat in addition to the soy beans. Some types of tamari contain wheat also, but most do not, and those that do only have it in small quantities. In any event, the addition of wheat during the brewing process results in a much sweeter product and this is a feature of shoyu sauces in comparison to many traditional Chinese types. Kikkoman Soy Sauce is a shoyu rather than a Tamari and here you can see the lovely golden brown color with a slight reddish tint. The aroma of this brand is one of the nicest of any soy sauce I have encountered and, to my mind, it smells very much like a very good quality dark miso but also has a very aromatic quality in the background that is reminiscent of certain rice wines. As for the taste, one immediately notes the saltiness but this quickly gives way to a very complex, slightly sweet, and almost fruity richness that is layered over all sorts of umami depth. This brand of soy is extremely versatile and I like to think of it as an all-purpose soy condiment and ingredient. It is great added to soup, and stir-fried dishes as well as marinades, but it also works terrifically as a component of dipping sauces, or as a delicious dipping sauce in its own right. The only limitation I can think of is the color, which, being very light, makes it less useful for red-cooking. However, taste-wise it certainly works well even in this application and can easily be supplemented by a darker soy for color purposes. Interesting, I never use Kikkoman for Chinese food but prefer Lee Kum Kee or Pearl River Bridge. But Kikkoman all the way for sushi and sashimi. I’ve never tasted all three side by side though. A blind taste test would be a good idea to figure out once and for all which one to buy or if all 3 or 2 are necessary. Kikkoman is my fave, too. It seems a better flavor–other supermarket brands I’ve tried taste of chemicals. Seems a good option. Thanks for your review! Kikkoman is a favorite of mine but also my new favorite is San-J Organic Shoyu. If you can’t get it in your neck of the woods, I’ll gladly send you a bottle to try. Thanks Clayton …. I’ll keep that in mind. Actually, I am hoping to be going through Montreal soon so I’ll try there first. I must admit food snobbery too! It is so ubiquitous, I just assumed it was terrible. Good to know otherwise. Thanks for this, John! 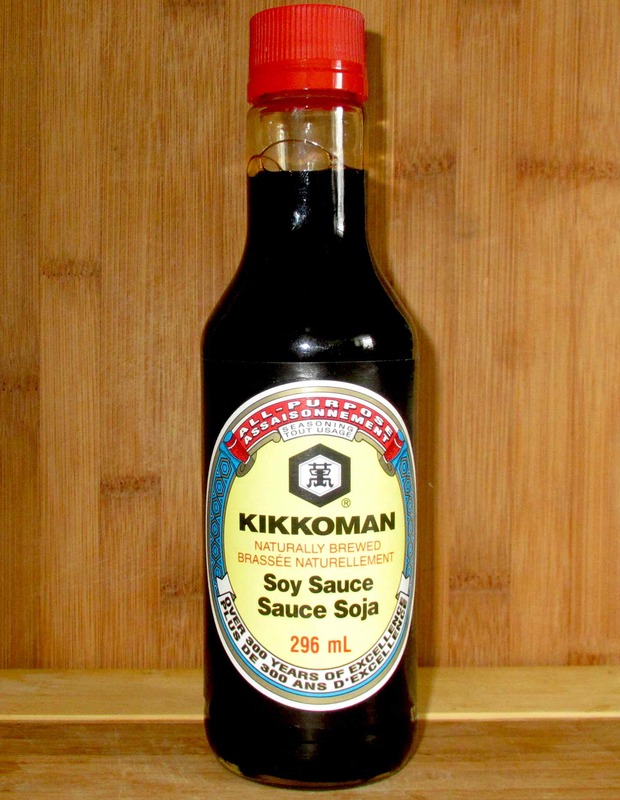 Kikkoman to me is almost synonymous with Japanese soy sauce. It is the best that is readily available in these parts.